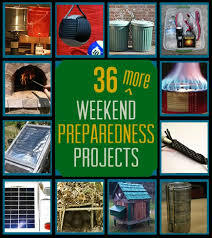 Here is a Great Article with Terrific ideas for Indoor Weekend Projects by Grace Brown of Home Care Buzz. Here are some Simple Projects that you can do over the weekend that can Add Value to your Home! Removing clutter is a great way to make your home feel more open. Plus, having all the junk removed from your house will help spark some home improvement and decorating ideas. Shelves helps keep small items–decorative or otherwise–off counters and tabletops. Installing hooks around the house is another way of keeping items such as keys, towels, and jackets off flat surfaces. One way to brighten up a room is to install a new light fixture. One that fits the intended decor of the room. Ceiling fans are an especially nice addition because they can push warm air down in the winter and cool off a room in the summer. Another way to improve the lighting of the room is to install a dimmer switch. Fresh new blinds make a room look sharp while curtains add a bit of softness. The two combined provide an effective sound and light barrier whenever needed. Re-caulking will make your bathroom feel cleaner and brighter while preventing mildew, mold, and water damage. Simply replacing a faucet can transform the look of your kitchen or bathroom. Updating a shower-head can save you money on your water bill and improve your overall shower experience. This is especially true if you switch from a single-function shower-head to a multi-function shower-head. New hinges and handles can make cabinets pop and an updated doorknob can complete the look of a room.